I thought I had all the fab work on the Chevalet done. It turns out there were a few details left to do. Nothing crazy, but so far it’s added up to probably five or six hours of little bits. The holes to mount the chain for the clamp actuator. 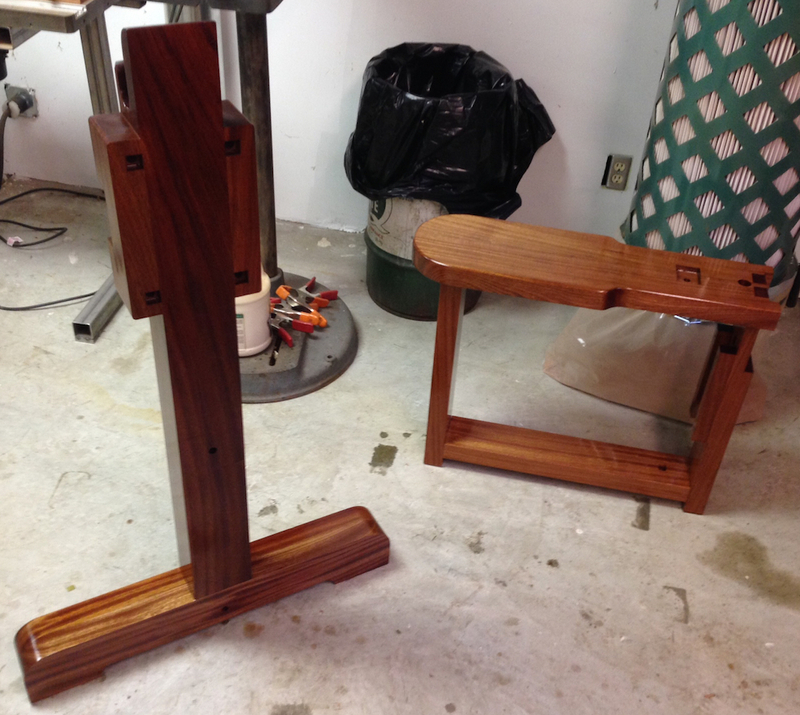 Two spacer blocks that go between the seat assembly and the upright. Remaking the vise spring because it wasn’t right. The vise jaws. And etc, etc. Nothing nuts, just stuff that needed to be made, tweaked, sanded, scraped or stared at. All of those details are done now. Except for making a knob for the saw frame. That’s a lathe job, and I’ll knock that out tonight or tomorrow morning. 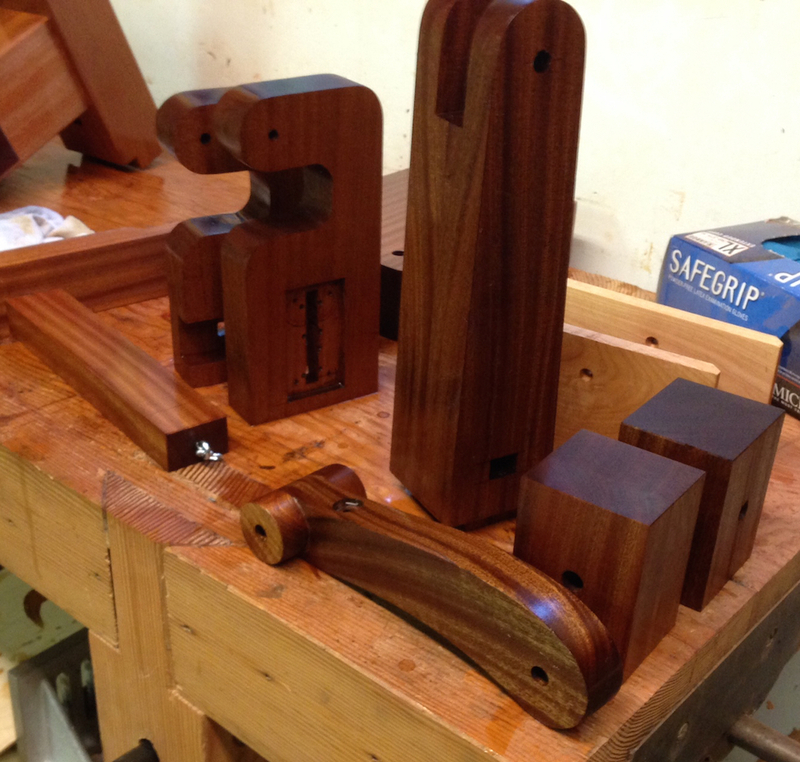 But first I wanted to get a coat of finish on all of the parts I’ve made so far. 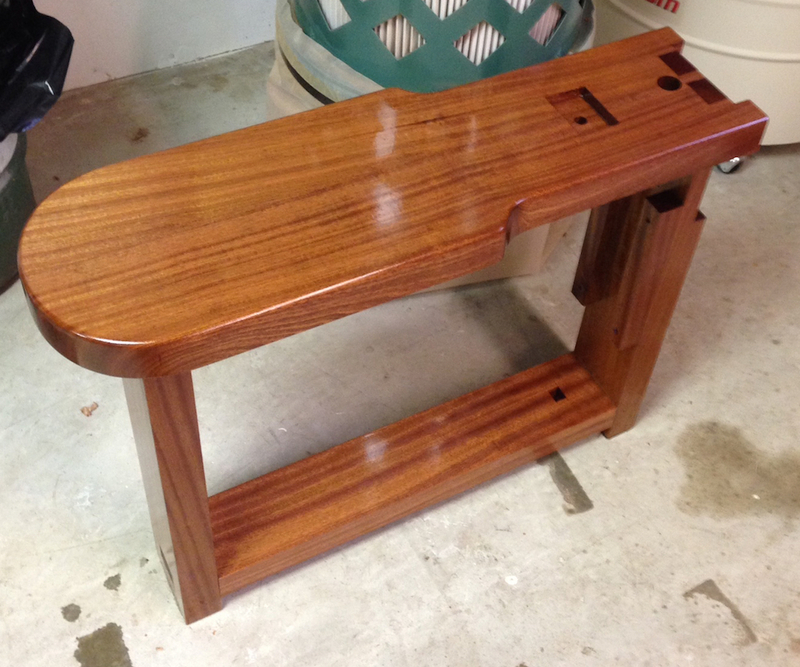 I mixed equal parts Mineral Spirits, Linseed Oil and Polyurethane, and slathered everything. It’s still soaking in the pictures, and after I hit “post” I’m going to go wipe it dry. 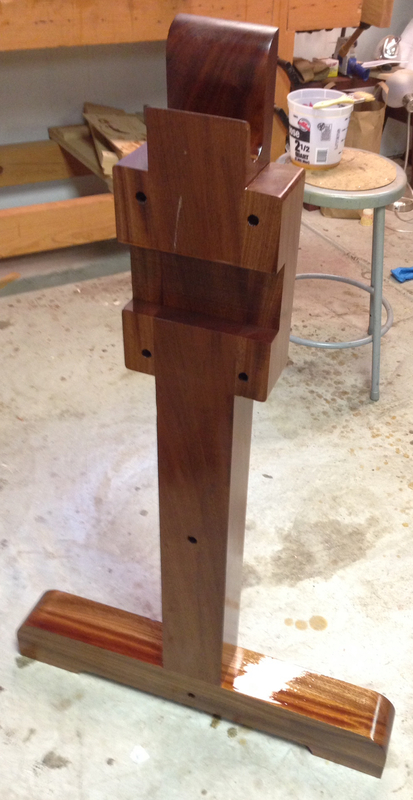 I may put one more coat on tomorrow, but it’s a coin toss. I just wanted to bring out the color in the wood and give it a little protection. Seriously, it’s looking good. I’m all too aware of how much time the little bits can take. A whole day can be gone before you even realize. I had thought you weren’t staring enough at this but I didn’t want to bring it up. Looks like you’ve caught up and I can’t wait to see you sawing a packet out.